Using a powerful and modern quad-core ARM-based processor, the Rockchip RK3288, tinker board offers significantly improved performance, versus other popular SBC boards. Realizing the growing demands of different builds and projects, the tinker board features up to 2GB of LPDDR3 dual-channel memory. Tinker board is also equipped with an SDIO 3.0 interface that offers significantly faster read and write speeds to expandable microSD cards used for the OS, applications and file storage. Featuring a powerful but energy-efficient design, the tinker board supports next-generation graphics and GPU Compute API’s. 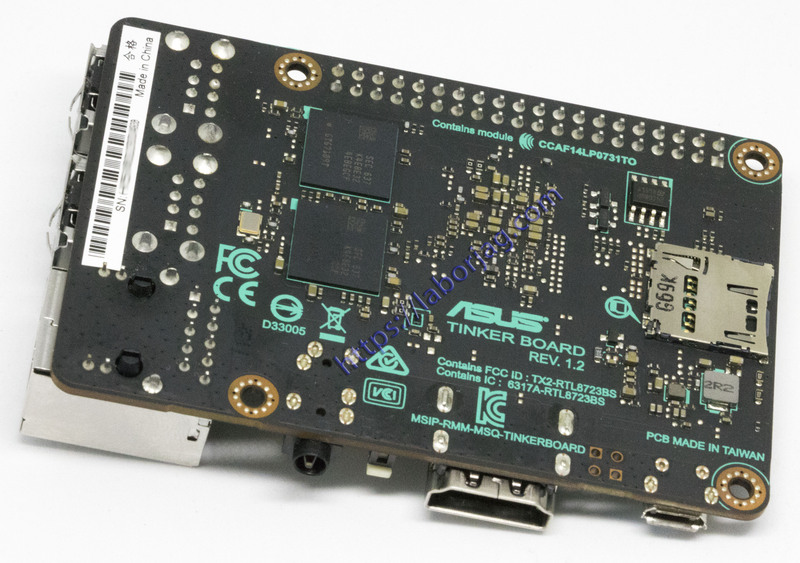 Powered by an ARM-based Mali T764 GPU, the tinker board’s GPU and fixed function processors allow for a wide range of uses, including high-quality media playback, gaming, computer vision, gesture recognition, image stabilization and processing, as well as computational photography and more. Multimedia enthusiasts will appreciate the fixed-function H.264 and H.265 playback support, including playback of HD and UHD video*. *HD & UHD video playback at 30 fps is currently only possible via the Rockchip video player, which is limited to support under TinkerOS. Currently, third-party video players and applications may not offer hardware acceleration and may likewise offer limited playback performance and/or stability. Please refer to the FAQs for more information. Tinker board features standard maker and hobbyist connectivity options, including a 40-pin GPIO interface. Additionally, it comes equipped with two HD MIPI connections allowing for HD displays and HD cameras. For those interested in network centric or LAN storage they will appreciate that Tinker board features Gbit LAN, which offers superior throughput when compared to traditional 10/100 Ethernet controllers. Furthermore, tinker board’s LAN port offers a non-shared bus design which helps to maximize and stabilize throughput, ensuring outstanding concurrent LAN and other onboard bus performance. Tinker board’s network connectivity is aided by the inclusion of an integrated shield Wi-Fi and Bluetooth controller, which ensures a reduction in interference and improved radio performance. Enthusiasts will also appreciate the IPEX antenna header that allows for upgrades to the onboard antenna. Careful consideration went into the design and development of the tinker board to provide a superior end user experience for first-time builders or experienced hobbyists. Makers will appreciate the improved visibility and clarity of the color-coded GPIO header that allows for quick and easy recognition of respective pin headers. The tinker board’s PCB dimensions and topology also mirror standard SBC boards that allow support for a wide range of chassis and physical accessories. The PCB also features silk-screening with connection header and location callouts, for improved connection clarity. Onboard MIPI headers also feature contrasting colored pull tabs. Tinker board also includes a heatsink, which helps improve heat dissipation under heavy loading or in hot ambient environments.